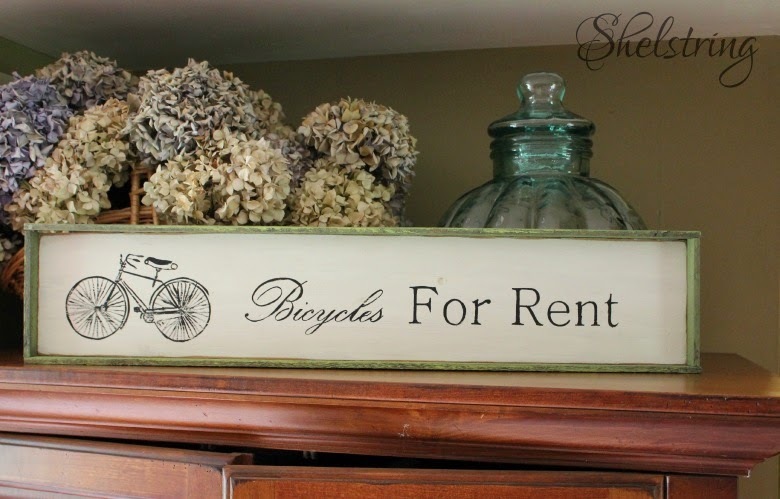 shelstring blog: Bicycles for Rent--Spring Blog Hop! 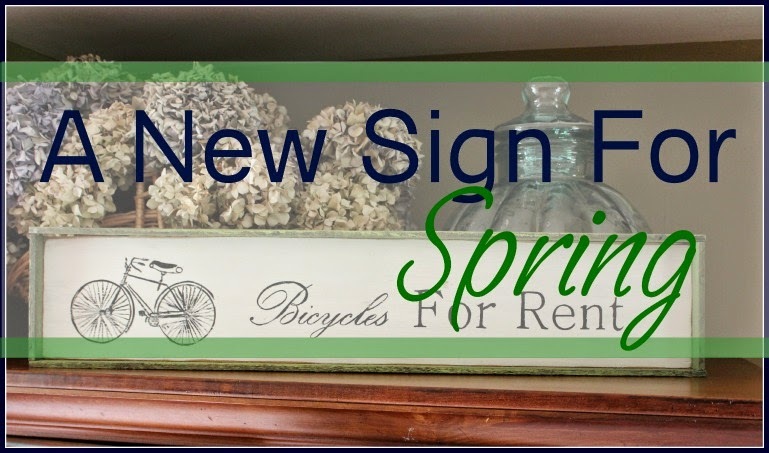 Bicycles for Rent--Spring Blog Hop! Welcome to our 2015 Spring blog hop! 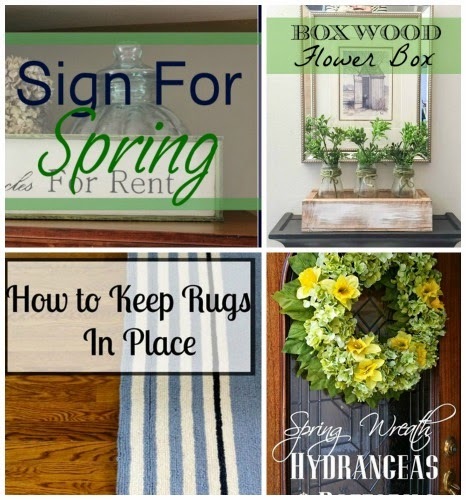 I am joining up with 3 other great bloggers to bring you some fun ideas to welcome spring, so don't forget to hop on over to their blogs at the end of this post and check them out as well! I'm excited to share a project with you today that I had so much fun making! As I've said before, winter here in the west coast has been pretty mild. We have been enoying spring-like weather for a couple months now. 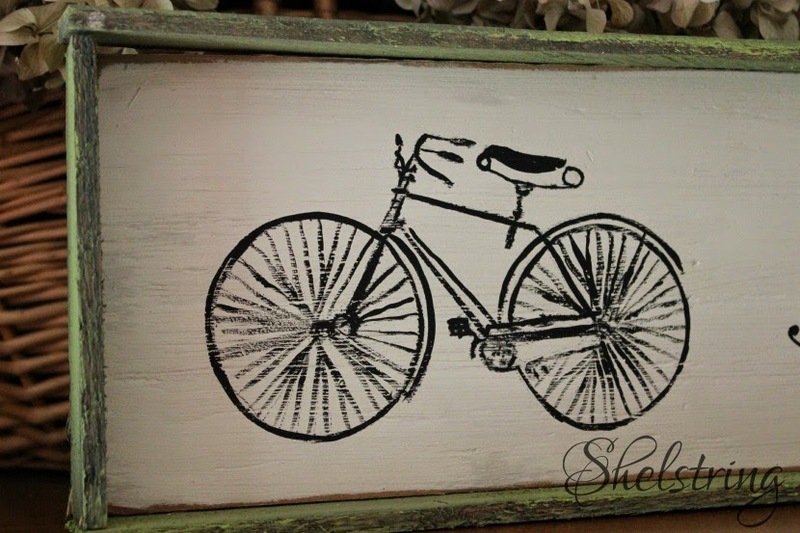 So while I was making new signs for my retail space, I was browsing The Graphics Fairy for some inspiration and found this sweet picture of a bicycle. 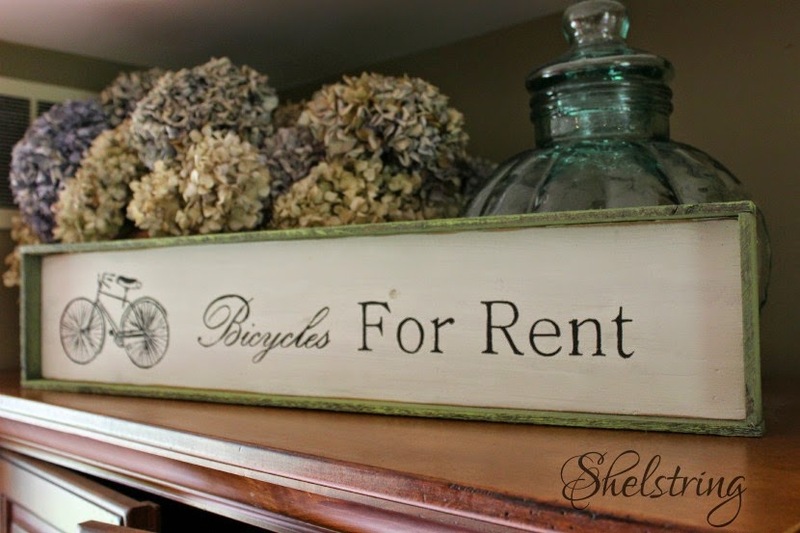 Immediately I thought about my Umbrellas for Rent sign and knew that I wanted to make a Bicycles for Rent sign too! and transferred the graphic onto my board using the freezer paper method. Then I designed the lettering on Microsoft word. After transferring the wording on with carbon paper, I painted over it with a liner brush. 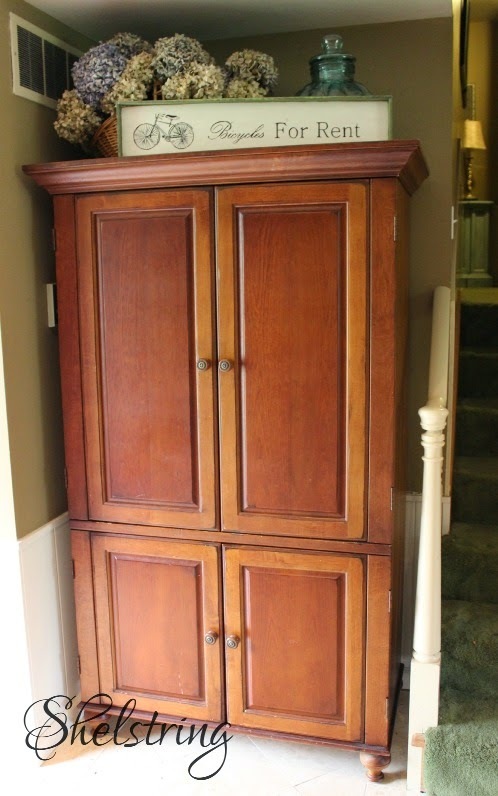 When I was finished, I didn't like the way the edges had holes in them since I'd used plywood. That's where the idea for the frame took place. I found some scrap lathing I had on hand, and painted over it with some green apple paint and applied a rub of walnut minwax stain after it was all dry. Then I attached the frame using my brad nailer (Icouldn't live without that tool. So worth the investment!). I liked the way it turned out so much that after I delivered the first one to the shop, I went ahead and made another one for the space above our entry armoir. I like the way it detracts from the heating vent. It's a fun welcome every time we come in the door. Hope the weather is nice where you are! Now, don't forget to visit these fun blogs! 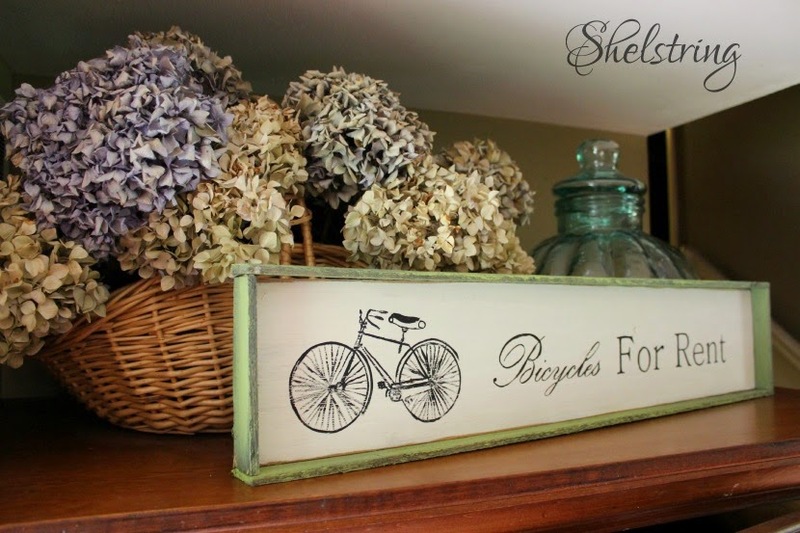 Love the bicycle, Michele! The entire sign is wonderful! It does look amazing at your entrance. This is so cute! 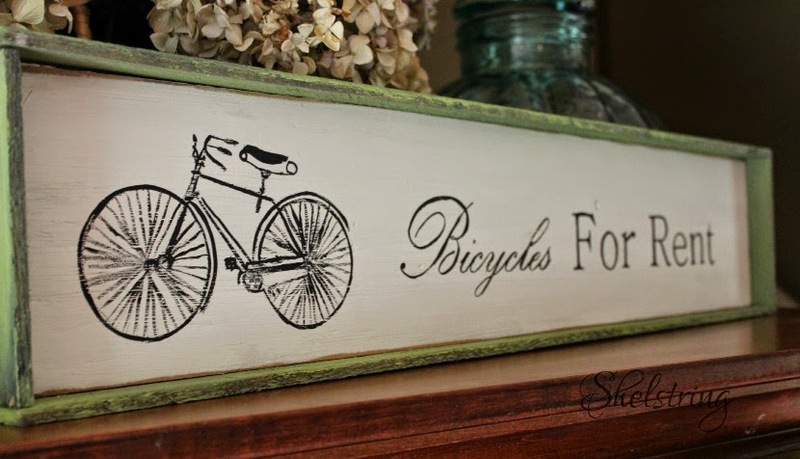 We are a huge bicycling family so this sign is right up our alley. So fun! Thank you for joining me!! 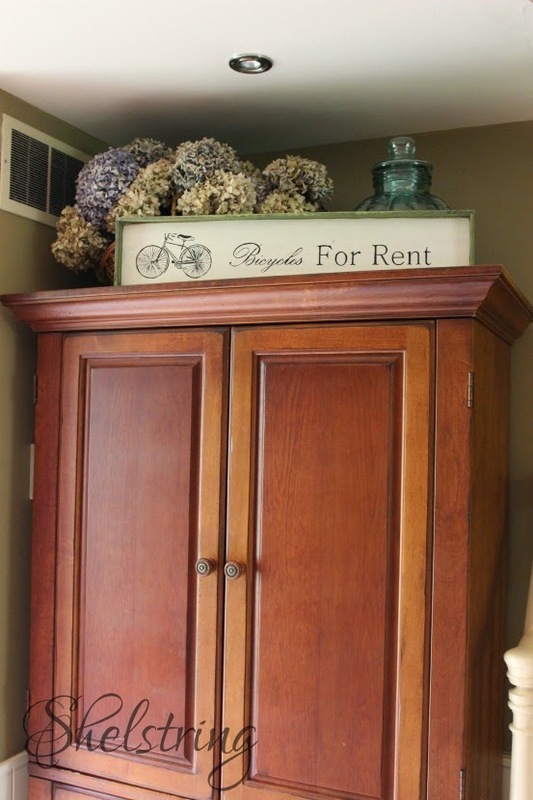 Charming sign and I think it is brilliant of you to use lathe to make a frame. That is smart and isn't the apple green a lovely color. I like that you came up with an original topic for this sign. One does get a little weary of the folks and companies still going on about Live. Laugh. Love. Your sign is unique. Michele, I LOVE this sign! It is adorable, and so perfect for spring!! Thank you for sharing with me Stacy!